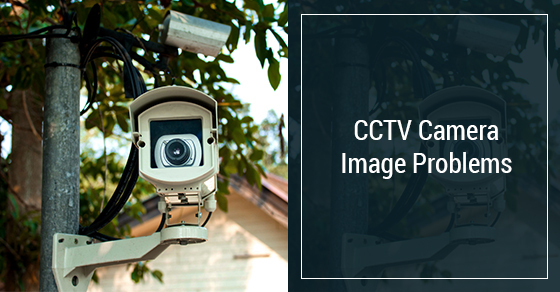 Common Image Problems With CCTV Cameras | Calgary Alarm Inc.
CCTV cameras or video surveillance are not only extremely valuable for commercial businesses but also for homeowners. These cameras can deter burglars in a similar way that home security systems do, as well as identify and even catch potential suspects. Like any piece of technological equipment, however, problems can occur—particularly image problems. Here are some of the most common ones. Fortunately, most of these problems can be easily prevented. Just because a camera is permitted to be used outdoors doesn’t mean that it won’t be damaged by the elements if proper precaution isn’t taken. If the CCTV camera is placed in direct sunlight, the image sensor will be damaged and the image will become blurry. Contrast changes will also occur until you eventually see nothing but a black screen. Keep in mind that your camera lens can move itself into a position of being in direct sunlight; a few days after you have installed your camera, review the footage for any signs of sun damage and then move your CCTV camera accordingly. Don’t ever mount your CCTV camera to a metal or conductive surface. Otherwise, an electrical current can travel directly into your camera and cause image problems in the form of an electrified surface. To prevent this problem, always mount your camera to a wood surface. Hum bars are the horizontal lines that run across your image. They are the result of a something called ground loops, which can occur for several reasons. The primary reason is largely due to to incorrect wiring in the home or business. If this is the case, you can get some ground loop isolators, a type of adapter, that will filter out the electrical images. Hum bars can also occur because of faulty power supplies or faulty cable. If this is the case, you’ll need to replace them. If your camera is producing a very bright image, it is likely that it is not equipped to be used outdoors. If you are looking to use your camera outdoors, you will want to upgrade your camera and purchase one that has an infrared cut filter, which will enable you to use it outside. Consider Calgary Alarms for your choice of CCTV cameras—we are one of the best security alarm monitoring companies in Canada. Contact us today for more.